The town of Portland, Connecticut is located in Middlesex County. Prior to the arrival of European settlers in the late 1690s, the area today known as Portland was inhabited by the Wangunk, or “Big Bend” tribe—named for the signature bend in the Connecticut River which curves around a good portion of Portland’s outer perimeter. Brownstone proved to be a magnetic force for settlers moving into the Portland area in the late 17th century. This brown sandstone was popular, both for use in construction as well as for gravestones. Establishing a settlement near the Connecticut River allowed for the easy transport, not to mention import of the brownstone. The Brownstone quarries in Portland went on to supply the popular rock to major cities all over the country, including New York, Boston, San Francisco—even across the pond in England. Originally considered part of Middletown, CT and later Chatham (which included present day Portland and East Hampton) Portland became its own entity in 1841, taking its name from Portland, England which is known for freestone quarries. While quarrying ultimately became the town’s go-to industry, the town of Portland has a rich and storied connection with another big industry; shipbuilding. Portland’s Gildersleeve village was named after the Gildersleeves, a prominent family of shipbuilders that lived in the area in the 1800s. Aiello Home Services has been offering service to Portland since 1931 when Aiello began selling fuel oil. Aiello offers heating and air conditioning repair and replacement, plumbing, electrical as well as indoor air and water quality systems. During the hot summer months you can trust Aiello Home Services to properly repair or install your air conditioning system to make sure you stay cool. The winter months can be long and cold in Portland, so you can count on Aiello to make sure your heating system is working. Aiello offers 24/7 heating repair to keep you and your family out of the cold. Whether it is a plumber you require or perhaps an electrical emergency or just scheduled maintenance, Aiello services Portland to make sure all your heating, air conditioning, electrical and plumbing issues are resolved successfully in a timely manner. And now Aiello sells and installs new stand-by generators from America’s leading manufacturers, Kohler and GE. Exceeded my expectations. Excellent service. You can’t find a better company to take care of all of your needs. They are friendly and efficient and sincerely care about their customers. You can’t go wrong with Aiello. 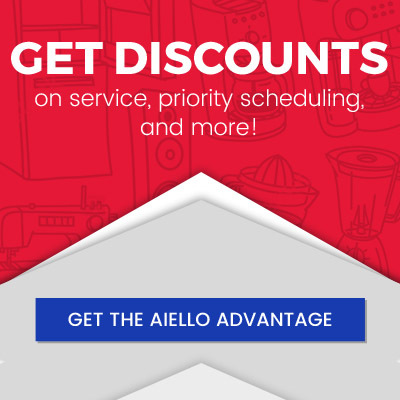 We've had Aiello come and service our AC, hot water heater and furnace for about 5 years now. We got their information from the stickers left on those appliances from the previous owners. They've always been punctual, the work done well and everyone we've interacted with for both emergency fixes and regular maintenance has been very polite and nice. My wife and I needed a job done today. Because I take care of my wife as primary care provider, we called Aiello to get an electrician. The office staff made sure that Ryan could stop by on his way from a call in New Britain. Ryan took care of the issue. He was cheerful and professional and explained what he was doing and it’s cost thoroughly in order to get an approval or rejection of the plan he recommended. We were very satisfied with his work and if we needed an electrician again, we would hope that Ryan could come. Fantastic same day service, Bobby N. was very knowledgeable and professional. We were able to walk through a series of options to address the plumbing problem, I appreciate Aiello's approach with upfront pricing. 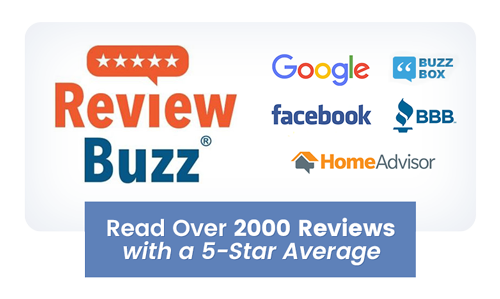 Rocco C, the plumbing expert who was sent by Aiello Home Services to repair a leaking pipe was thoroughly professional, very knowledgeable and completed the repair perfectly. He also recommended the replacement of the very old main shut off valve in the basement which gives me an easier and more reliable way to shut off all incoming water. Rocco is an excellent technician. We recently had our air conditioning and boiler replaced. The team that came out was awesome. I want to thank Jason, Tyler, Mark, Steve, Nick, Jamie, Scott and Bill. I couldn’t have asked for a better team. They were hard working from the time they arrived until they left. They worked neatly and did an excellent job on everything. If you need air conditioning, heating, electrical work, or plumbing these are the guys for you. We also purchased their service partner agreement. This makes you a priority when you call. Your name automatically goes to the top of the list. You also get discounts on the work you need done. Lastly I can only say that if you want quality work and people who know what they are doing call Aiello. Rick Newman performed my annual heating system preventative maintenance checkup today. Rick arrived on time, was extremely professional, knowledgeable, and efficient. Thank you Rick for all your efforts this morning. Additionally, this annual heating system checkup was 100% covered under my Aiello Service Partner Agreement which also covers my annual AC checkup. This Partner Agreement also puts me on a priority list for emergency services and a discount on parts if needed. Well worth the small monthly fee. Yes... We can do the same for you.